Slowly and steadily online poker is on the right track of been legalized by the Illinois government but there are still some huddles that online poker has to tackle. It is very clear that people of Illinois can’t play online poker legally at present but most of the people and various groups are putting pressure on the government to make online poker legal so they can play online poker without facing any legal action. Senate President John Cullerton proposed the gambling expansion bill in 2013, in order to increase the number of casinos in Illinois. This bill also included online gambling and if it is passed by the authorities then online poker and many other games will become legal in the state. There is no denying that expansion in gambling is a significant step that people of Illinois are seeking. But it is very big step even for the progressive Illinois General Assembly and Governor Pat Quinn especially when governor has expressed his feelings about what he thinks about online poker. It made serious impact on the proposed bill and this bill was uncovered. Immediately this bill died because of the internal strife and lack of guidance as well as awareness about gambling expansion. At the present moment Illinois is struggling with financial crisis in education and pension funding. That is why authorities have promised that after they find right solutions for current problems then they are going to take this bill seriously. Even though background negotiations are done but the 2013 bill rushed to the Cullerton’s colleagues and they are putting lots of effort to make online gambling especially online poker legal in Illinois. It is very important that Chicago should possess major card rooms and casinos in 2015. 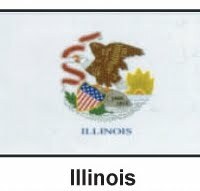 Illinois can provide this state huge favors by adding new casinos and it should drastically improve the poker community. At this present moment, Illinois has only few legal poker sites but that is too low as comparative with other state like Pennsylvania. Cullerton’s bill invited state lottery system to provide various online games that includes online poker as well. A similar type of bill that died in 2013 will allow people to play lottery online. These steps are called baby steps as many other states around the Illinois are offering huge number of poker rooms and generating huge revenue. Cullerton promised to the poker community that he is going to break the online poker bill and represent this bill separately for getting serious attention. What would be the accurate predictions of online poker will be legalized? It is very clear that the standing bill of 2013 (legislative table) is going to be re-introduced and passed by the General Assembly by 2015. But that is not the accurate information because it could be extended to late 2016. It all depends on how other states are reacting on the online poker acts. So we need to wait and see things will develop or not. There are 12.8 million people living in Illinois and it is fifth most populated states of the nation. There are more than 8 million potential poker players (over 21 years) so there are huge potential in online poker and other online games.